Note the size difference between the three different species. 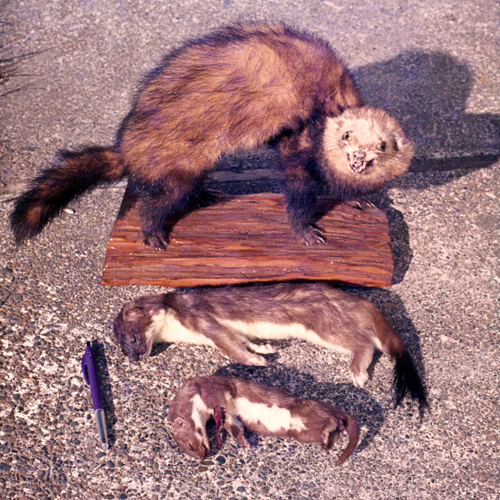 Weasels are the smallest of the three mustelids and will almost fit in a medium sized hand. The average female weighs only 58 grams. Only stoats have a black tail tip.